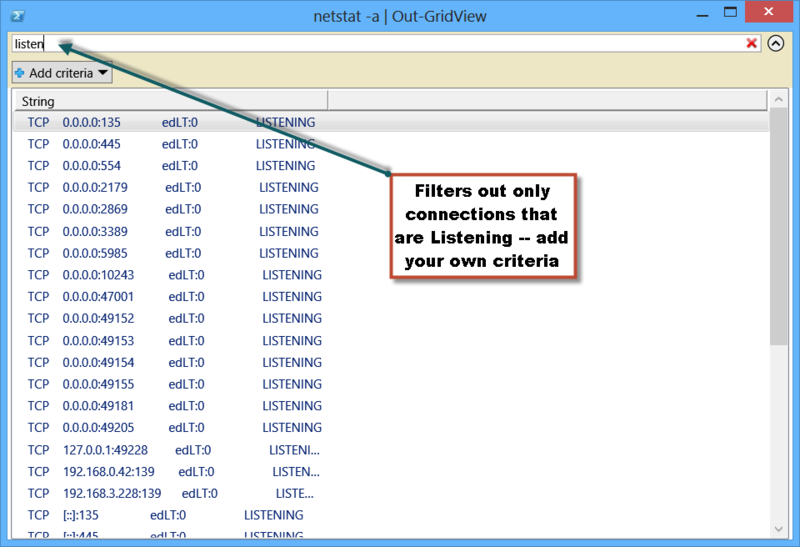 Summary: Learn to use Windows PowerShell Out-GridView to filter NetStat output. How can I use NetStat to check TCP port connections, and additionally have a graphical tool to filter the output? The Out-GridView control is shown here.